The Sixers have now been ranked as the worst team in the NBA, with a record of 4-18, as well as now only having 9 healthy players at their disposal. The Sixers have been on an 8 game losing streak, their last win being on November 21st against the Heat. The Sixers are hoping to break that streak as they will be taking on the New Orleans Pelicans tonight in New Orleans. The Pelicans are ranked at the 6th worst team in the NBA with a record of 7-15. The Pelicans are coming off a disappointing loss against the Grizzlies Monday night. The Pelicans lost in overtime to the Grizzlies 110-108. New Orleans head coach Alvin Gentry said in a comment "It's very frustrating to be honest with you, I just had higher expectations and that we would have fewer injuries, to be honest with you." Officials are warning anyone who is planning on attending the Temple Bowl game or the Penn State Bowl game to be aware of ticket scammers. Many officials say that events like this give ticket scammers a good chance to get money from unsuspecting fans who just want a seat to the game. The Bureau of Consumer Protection offered a list of tips when purchasing tickets. Some of the top tips were: Buy your tickets from a reputable seller, never wire-transfer any money to someone you don't know, and consider using a credit card when purchasing tickets so you can dispute any suspicious charges if needed. Officials also say to make sure your ticket corresponds with actual seating arrangements in the stadium. 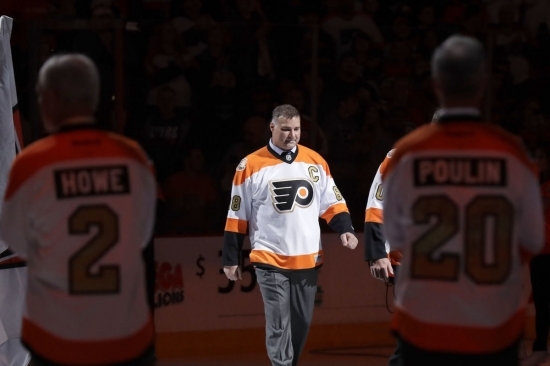 Former Flyers Forward, Eric Lindros, will be receiving the Living Legend Award by Philadelphia Sports Writers Association. Lindros played with the Flyers from 1993 to 2000 and is ranked 5th on the Flyers all time scoring list, with 659 points in 456 games. As a Flyer he averaged 1.36 points per game, which is considered the best by far in franchise history. At 6-foot, 240 pounds, Lindros was said to have revolutionized the power forward position with his rare combination of speed and hockey skills in a player of his size. Lindros as well as many other honorees will be honored on Friday Feburary 13th at the Sports Writers Association's 113th annual banquet. The Flyers play at 7 against the Oilers.